"Menslief Ik Hou Van Je" (My dearest human being, I love you). This message was posted everywhere in Belgium and the Netherlands during the late 1960s, 1970s and 1980s. Image credit: donkiesjot.skynetblogs.be. A message with more relevance today than ever. Be kind to one another, pass it on. 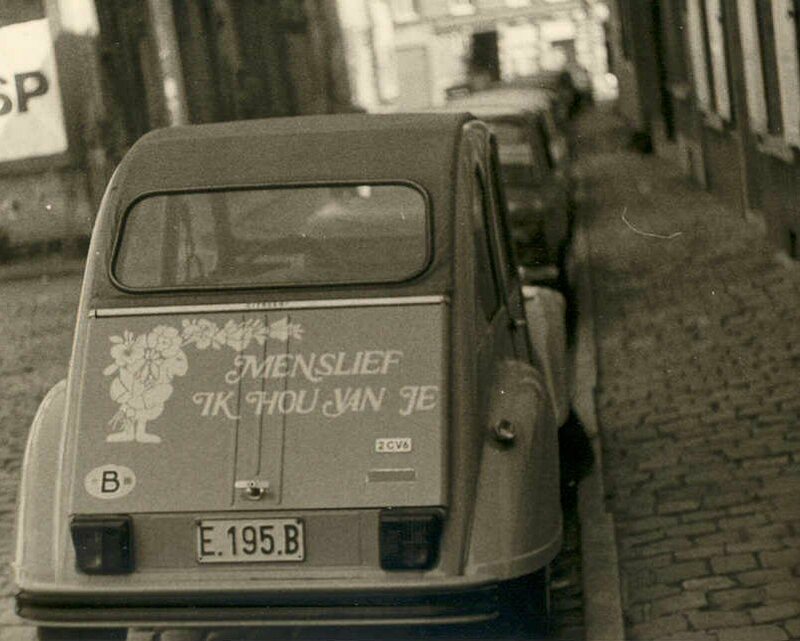 A simple yet invaluable message of "Menslief Ik Hou Van Je (My Dear Human Being, I Love You)" took Belgium and the Netherlands by storm during the late 1960s, 1970s and 1980s. A simple yet surprisingly difficult message, even more so today. This message of love was promoted by the Belgian humanist Phil Bosmans, who later grouped all his philosophies together into a manifesto of love and kindness, the book, "Menslief Ik Hou Van Je". More than 800,000 copies have been sold in Belgium and the Netherlands since it was published. Many decades ago, this message was everywhere. 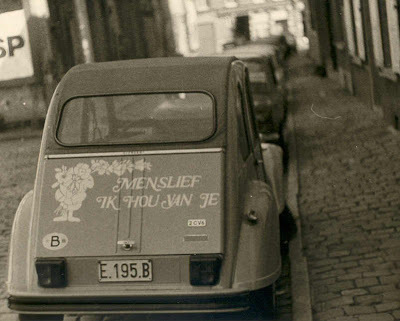 On stickers, advertising, calendars, even cars... Phil Bosmans convinced every reader that there will always be a new spring in the world, in every house, in every street, in every city.